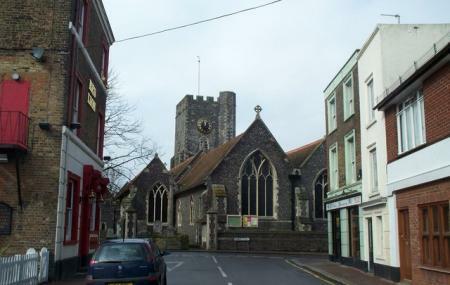 The Saint Peter's Church is an Anglican worship center nestled in St Peter-in-Thanet seeking to share God’s unbounded love to all the visitors regardless of their background. The church family strives to reach out to as many people as they can to urge them to visit this 12th-century majestic church. The Sunday Worship Service takes place at the main foyer where you can connect with other visitors and the ministers over a cup of coffee or tea. After the 8 am Holy Communion following the Book of Common Prayer, the Contemporary Eucharist Service takes place at 9.30. There is also a Choral Evensong celebration with traditional Hymns and Contemporary songs at 6.30 pm. How popular is Saint Peter's Church? People normally club together Sarah Thorne Theatre Company and Revolution Skate Park And Climbing Centre while planning their visit to Saint Peter's Church. A historic village church with a very large graveyard that contains some Commonwealth War Graves. I went to St Peters for a concert. It was very well organised and very enjoyable. Cemetery is kept very well, the staff are very friendly. we do a lot of work there, being the main Stonemasons in the area. Always a pleasure to work here. Feel free to check us out ROBERTS STONEMASONS LTD.